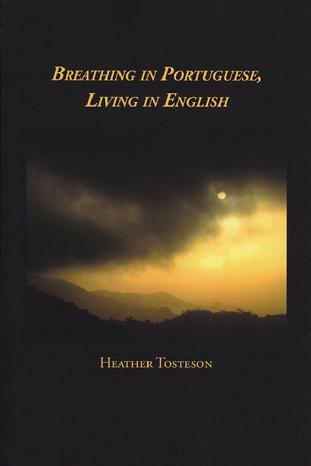 "Cada língua concebe outra eu,/every language conceives another I,/ igualmente essencial, new," Heather Tosteson writes in Breathing in Portuguese, Living in English. Exploring through a new language and life in another hemisphere what it means to be in the third stage, terceira idade, of a well-lived life, the poet realizes that she has "come here to live into the reality of my own mortality," a reality that holds powerful fulfillment as well as loss. 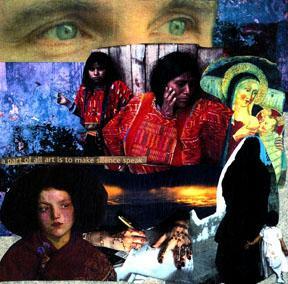 "Like nitroglycerin tablets just ready/ to slip under our tongues, that's how we carry/back this Portuguese and the unexpected/alternatives it provides." In these poems she invites us to join her as she listens for unsung hymns ready to soar—within single words that taste like mamão or sound like "happy do"; the ravishing howl of a man striding down the street, lost inside o seu som; the o puro barulho, pure hubbub of Brazilian streets; the isolation of the traveler; the restless silence of a distant, dying father; the rush of waves bringing her o lixo, trash, and o tesouro inestimável, priceless treasure. The inventive interplay of the two languages in Breathing in Portuguese, Living in English reminds me of the lively bi-tonal musical compositions of Prokofiev or Darius Milhaud. Every thought contains its counterpart, spoken or unspoken; every memory—even the most painful—has another side. Anger shapes some of the poems "as want shapes waste," but love is ever present, "dizzy with glee and grief." Dazzling! Heather Tosteson's openness to experience is reflected in the openness, range, and breadth of her poems, which want to take in A.R.Ammons' "nothing less than everything." She is an instinctive poet. She is bold, direct, subversive and original in the explosive ways in which she confronts the limits of human possibility through those made possible through language. Don't miss this.